Product prices and availability are accurate as of 2019-04-14 15:03:21 EDT and are subject to change. Any price and availability information displayed on http://www.amazon.com/ at the time of purchase will apply to the purchase of this product. 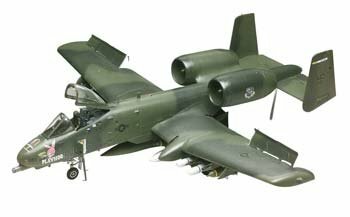 Designed especially for close air support, the Warthog entered service in 1975. 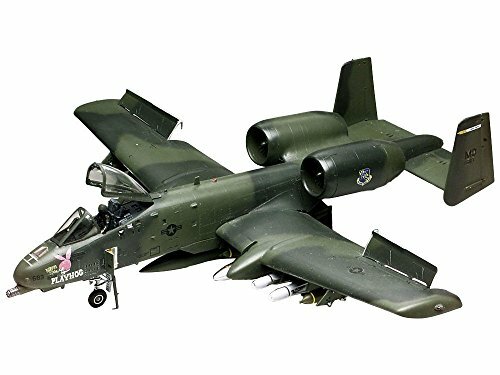 Literally built around the 30mm GAU-8 Gattling gun, the A-10 can also carry immense weapons loads under its wings and fuselage, including AGM 65 Maverick missiles. 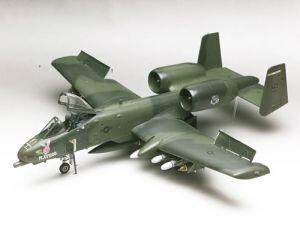 A highly survivable aircraft, the A-10 has redundant hydraulic systems backed up by manual systems; it can survive direct hits by armor piercing rounds. It flew 8,100 sorties during Desert Storm and has seen action in Afghanistan and was a key battlefield weapons system during Operation Iraqi Freedom. 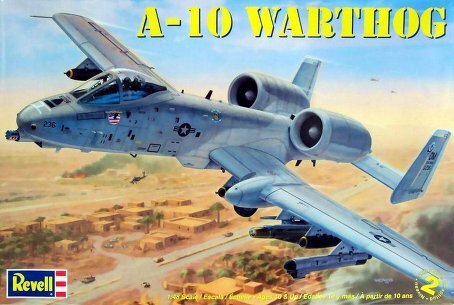 Features: Detailed interior with seated pilot and boarding ladder, ECM pod, cluster bombs, napalm tanks, Maverick missiles and centerline drop tank, decals included for LET'S ROLL.